Grip and protection for your hands! Do you have a need for speed? 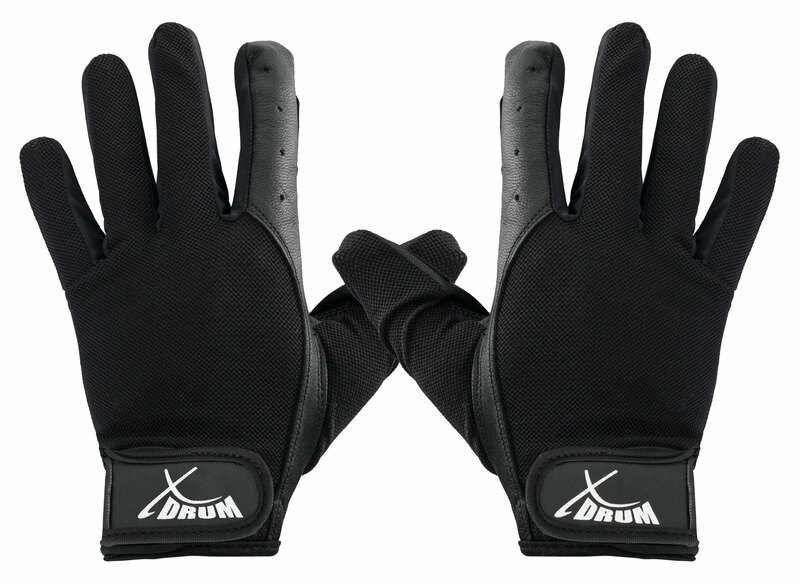 With these XDrum drum gloves, you can fire away for hours without having to worry about blisters, sores or flying sticks. 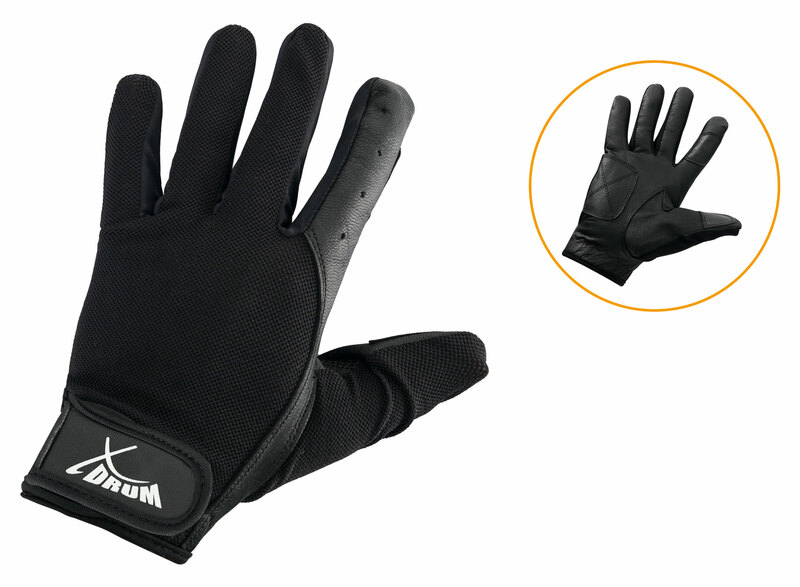 These black gloves have a palm of very thin yet still durable goatskin leather. This will protect the vulnerable parts of your hands from blisters and allow for hours of problem-free power drumming. Additionally, there is reinforcement on the side of the pinky finger. Slippery sticks are also a thing of the past! The enormous grip of the leather holds your sticks in place and keeps hand sweat at bay. 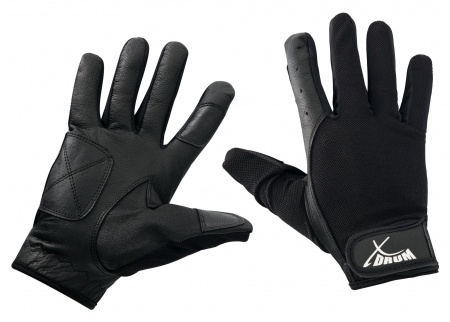 Despite the long fingers, the gloves offer a sensitive feel and stick control. 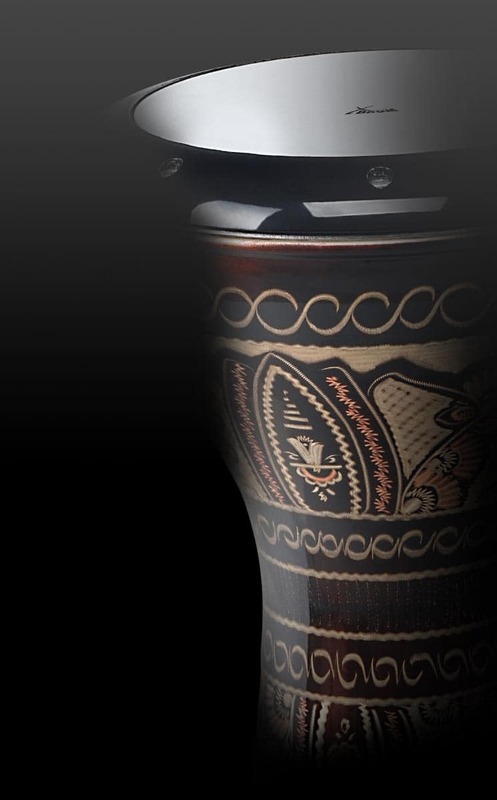 Sensitive playing and rich grooves are equally possible. While the inner offers optimal skin protection, the outer is equipped with mesh fabric for optimal fit and comfort to allow simultaneous air and heat circulation. 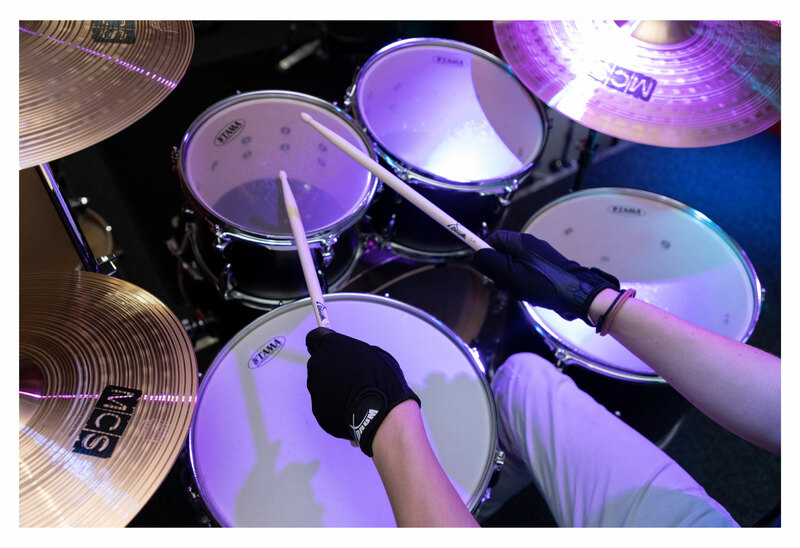 The index finger is the only one with a leather outer, which makes accidental snare rim hits no big deal. To make the gloves, which are already perfect, even more secure, there is a 4 cm wide Velcro closure on the wrist.